Very soon Chinaplas 2019 will open its door in Guangzhou, China, for international exhibitors and visitors. The annual event, which alternates between two Chinese cities of Shanghai and Guangzhou, will run from May 21-24, 2019 at China Import and Export Complex, Guangzhou. 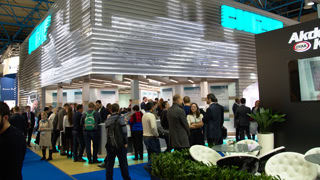 With the theme of ''Innovation is Key to the Future'', more than 3,500 exhibitors will be showcasing their cutting-edge products and solutions. Among them, 140 will be making their debuts in China, Asia or globally. 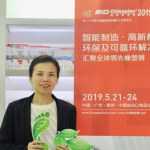 ''Chinaplas, which is now serving mainly China and the Asian markets, will focus more on innovative technology and their applications,'' said Ada Leung adding the show has already been recognized as an effective buying and selling platform in the plastics-related industry. 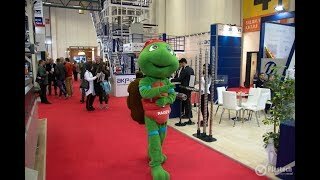 The show will continue to address different market needs through exhibits display, thematic events, seminars and conferences, ''Tech Talks'' at the show floor as well as through the latest digital promotion channels. Meanwhile, the Recycling Technology Zone is upgraded with a stronger lineup this year. Solutions for the whole recycling production chain will be introduced, including sorting, granulating, washing, drying and pelletizing. Renowned exhibitors include Torma, Buhler Sortex, Sesotec, Pierret, etc.